Liczba stron: 1041 Jest to ujednolicona liczba stron, która ułatwi Ci porównanie długości książek. Każda strona Legimi to 200 słów. One of the most influential works in the history of philosophy. 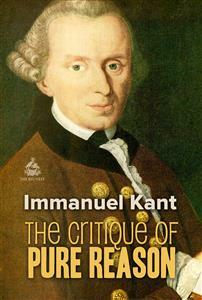 Known as Kant's First Critique, dealing with questions concerning the foundations and extent of human knowledge, Kant builds on the work of empiricist philosophers such as John Locke and David Hume, as well as taking into account the theories of rationalist philosophers such as Gottfried Wilhelm Leibniz and Christian Wolff. As regards certitude, I have fully convinced myself that, in this sphere of thought, opinion is perfectly inadmissible, and that everything which bears the least semblance of an hypothesis must be excluded, as of no value in such discussions. For it is a necessary condition of every cognition that is to be established upon a priori grounds that it shall be held to be absolutely necessary; much more is this the case with an attempt to determine all pure a priori cognition, and to furnish the standard—and consequently an example—of all apodeictic (philosophical) certitude. Whether I have succeeded in what I professed to do, it is for the reader to determine; it is the author’s business merely to adduce grounds and reasons, without determining what influence these ought to have on the mind of his judges. But, lest anything he may have said may become the innocent cause of doubt in their minds, or tend to weaken the effect which his arguments might otherwise produce—he may be allowed to point out those passages which may occasion mistrust or difficulty, although these do not concern the main purpose of the present work. He does this solely with the view of removing from the mind of the reader any doubts which might affect his judgement of the work as a whole, and in regard to its ultimate aim. I know no investigations more necessary for a full insight into the nature of the faculty which we call understanding, and at the same time for the determination of the rules and limits of its use, than those undertaken in the second chapter of the “Transcendental Analytic,” under the title of “Deduction of the Pure Conceptions of the Understanding”; and they have also cost me by far the greatest labour—labour which, I hope, will not remain uncompensated. The view there taken, which goes somewhat deeply into the subject, has two sides, The one relates to the objects of the pure understanding, and is intended to demonstrate and to render comprehensible the objective validity of its a priori conceptions; and it forms for this reason an essential part of the Critique. The other considers the pure understanding itself, its possibility and its powers of cognition—that is, from a subjective point of view; and, although this exposition is of great importance, it does not belong essentially to the main purpose of the work, because the grand question is what and how much can reason and understanding, apart from experience, cognize, and not, how is the faculty of thought itself possible? As the latter is an inquiry into the cause of a given effect, and has thus in it some semblance of an hypothesis (although, as I shall show on another occasion, this is really not the fact), it would seem that, in the present instance, I had allowed myself to enounce a mere opinion, and that the reader must therefore be at liberty to hold a different opinion. But I beg to remind him that, if my subjective deduction does not produce in his mind the conviction of its certitude at which I aimed, the objective deduction, with which alone the present work is properly concerned, is in every respect satisfactory. In this second edition, I have endeavoured, as far as possible, to remove the difficulties and obscurity which, without fault of mine perhaps, have given rise to many misconceptions even among acute thinkers. In the propositions themselves, and in the demonstrations by which they are supported, as well as in the form and the entire plan of the work, I have found nothing to alter; which must be attributed partly to the long examination to which I had subjected the whole before offering it to the public and partly to the nature of the case. For pure speculative reason is an organic structure in which there is nothing isolated or independent, but every Single part is essential to all the rest; and hence, the slightest imperfection, whether defect or positive error, could not fail to betray itself in use. I venture, further, to hope, that this system will maintain the same unalterable character for the future. I am led to entertain this confidence, not by vanity, but by the evidence which the equality of the result affords, when we proceed, first, from the simplest elements up to the complete whole of pure reason and, and then, backwards from the whole to each part. We find that the attempt to make the slightest alteration, in any part, leads inevitably to contradictions, not merely in this system, but in human reason itself. At the same time, there is still much room for improvement in the exposition of the doctrines contained in this work. In the present edition, I have endeavoured to remove misapprehensions of the aesthetical part, especially with regard to the conception of time; to clear away the obscurity which has been found in the deduction of the conceptions of the understanding; to supply the supposed want of sufficient evidence in the demonstration of the principles of the pure understanding; and, lastly, to obviate the misunderstanding of the paralogisms which immediately precede the rational psychology. Beyond this point—the end of the second main division of the “Transcendental Dialectic”—I have not extended my alterations,* partly from want of time, and partly because I am not aware that any portion of the remainder has given rise to misconceptions among intelligent and impartial critics, whom I do not here mention with that praise which is their due, but who will find that their suggestions have been attended to in the work itself. follows: “But this permanent cannot be an intuition in me.